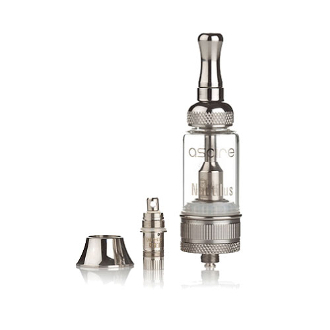 The Nautilus by Aspire is a classically beautiful stainless steel, eGo/510 threaded 5ml clearomizer. Its silver reflection makes it a perfect pairing for any colored battery and works like a charm with variable voltage features. It is a bottom filled clearomizer which helps the user have a clean and enchantingly smooth vaper.